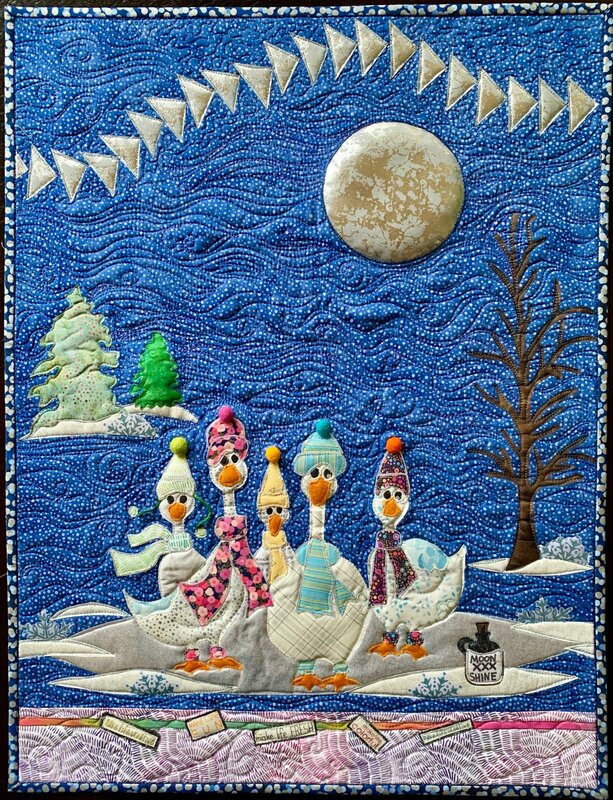 This beautiful quilted wall hanging features five charming white ducks on a frozen pond, lit by the light of the evening moon! These guys are enjoying their mid-winter jaunt under a the full moon, and… celebrating with a lil’ nip of moonshine from the jug as well! These five ducks have lots of character, with tiny pom poms on their hats and scrappy scarves and socks on their feet! And I’ve listed all the sources for the fabrics and supplies, in my pattern.